“Celtarabia’s initiative in generating dance music from archaic and medieval acoustic instruments is audacious in the exreme.” THE MIX. Quentin Budworth is not just a hurdy-gurdy player; he creates magic with sound, transforming ancient tunes into global soundscapes that take the audience to places they have never been before. Quentin was born in Gibraltar between two continents: Europe and Africa. Listening to the radio as a child, he absorbed the North African and Spanish musical influences that seep into his playing today. His biggest musical inspiration is the medieval court of Alfonso 10th of Spain, where the Spanish, the Moors and the Jews co-existed peacefully creating a rich and vibrant culture. This musical fusion shines through in Quentin’s playing. He has played with the legendary Suns of Arqa, recorded sessions with them for Radio 1’s John Peel and Andy Kershaw, his session tracks later being picked up by Mix Mag as their track of the month. He has collaborated with record producer Simon Emmerson of the Afrocelt Sound System and Dub producer the Rootsman. Today Quentin’s Hurdy Gurdy playing is the magic behind Celtarabia’s unique sound. His years of experience and contacts as a musician have led him to be able to gather around him an incredible band of players. Quentin wants to take the vibrant, celebratory Celtarabia sound to audiences across the world by playing at festivals, concerts and through the media. A fourth and fifth album are already planned; one a live recording; the other, all new material, and the question on everyone’s lips after a Celtarabia concert is: ‘When are you playing again?’. Celtarabia shows are renowned for the their incredible vibe and fantastic atmosphere –the band takes the audience to a magical place where amazing things can happen – part ritual, part party, the sound of the Hurdy-Gurdy urging people to move – touching hearts, freeing minds and making feet dance. Amanda Lowe could be described as the most exciting hammer dulcimer player in the UK today. But she’s more than that. Amanda spent 20 years as a street entertainer where she developed her unique style of playing, toured internationally as a medieval musician, toured with the Masters of Cymbalom in Eastern Europe, performed three times at the International Hackbrett Festivals and for the World Cymbalom Association; she has recorded a solo dulcimer album and several albums with Celtarabia and the Rootsman, and in pushing the repertoire of the dulcimer, plays with percussive, hypnotic passion. Amanda’s playing is deeply rooted in traditional folk and medieval music, although you would never know this from watching her play. Today, Amanda tours as a solo artist and with Celtarabia, spell-binding audiences with her stunning vocal performances and dulcimer playing. Still making stunning sounds on her vintage fretless Musicman Stingray Lou is sticking with the Celtarabia crew. Together with drummer-deluxe Alan Raw, Lou’s dub ‘n’ slide bass is the backbone of Celtarabia’s medieval-with-attitude storming tunes. 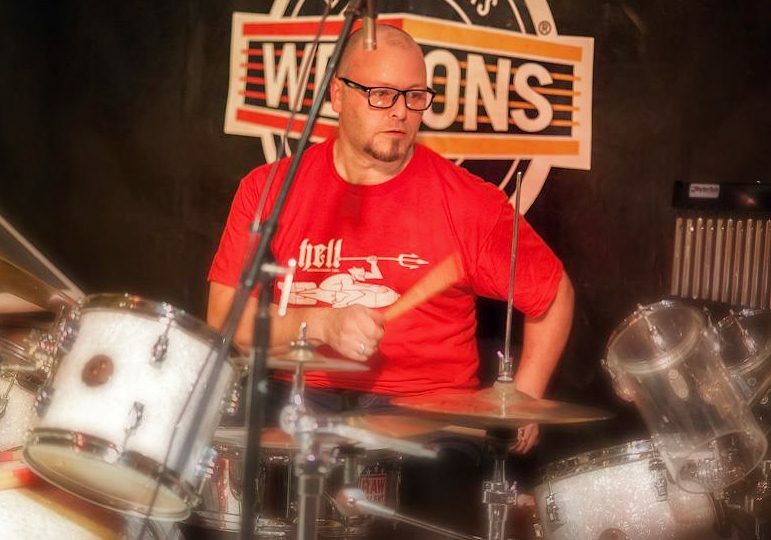 Alan is Chair of the World Drumming Association and teaches drums & world percussion for a WDA Academy called Creator College, teaching music to young unemployed teens. He’s in his 10th year as an award winning DJ & Radio Presenter for BBC Introducing. With over 1000 live sessions on the shows so far. He also presents the BBC Introducing Stage at Leeds Festival, having started the stage 8 years ago. To maintain a connection to his roots Alan is a Director of the very successful Beverley Folk Festival, enjoying it’s 30th Anniversary in 2013. “I’ve worked in community arts since 1992, with numerous organizations; developing musical talent, coaching drummers, facilitating world percussion workshops and drum circles, chairing music industry panels at conferences and promoting sustainability in the arts.” “I am passionate about all kinds of drumming and love my work with the WDA. “Alan has an extremely wide range of skills, knowledge and experience, especially in world percussion and drum teaching.” “He is professional and methodical when it comes to delivery, and also great fun to work with.” “Great Results, Expert, Creative” (Darren Squires, MD Creative Projects Ltd & Festival TV).